Dr. Jefferson Murua works in the Marine Research Division of AZTI-Tecnalia, a non-profit foundation committed to the social and economic development of the marine environment and food sector. 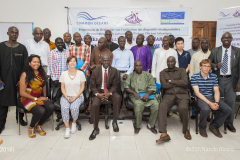 Dr. Murua also conducts educational workshops and research on behalf of ISSF. 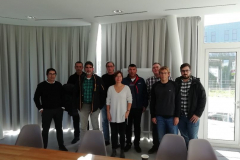 Another round of Skippers Workshops came to an end in 2018. This was the ninth consecutive year running, with almost 700 participants in 2018, reaching a total of 3675. 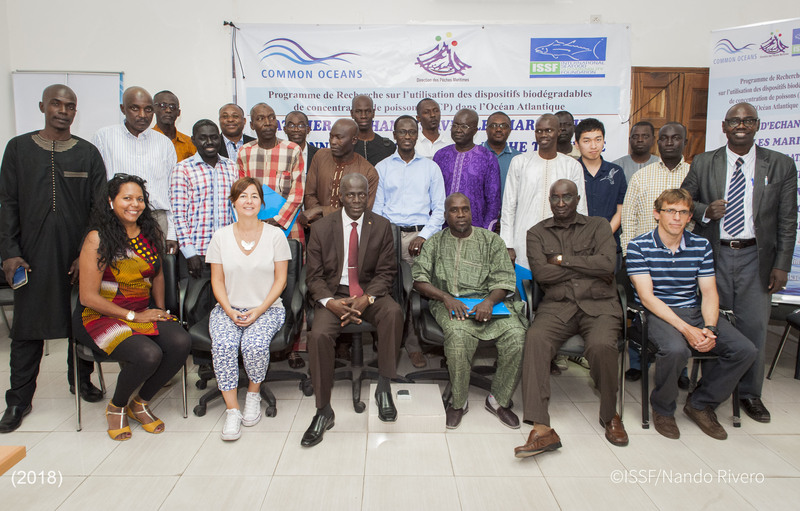 Most of the participants are tuna purse seine fishers. Click on an image to expand it and see a caption. You also can view the photos as a slideshow. 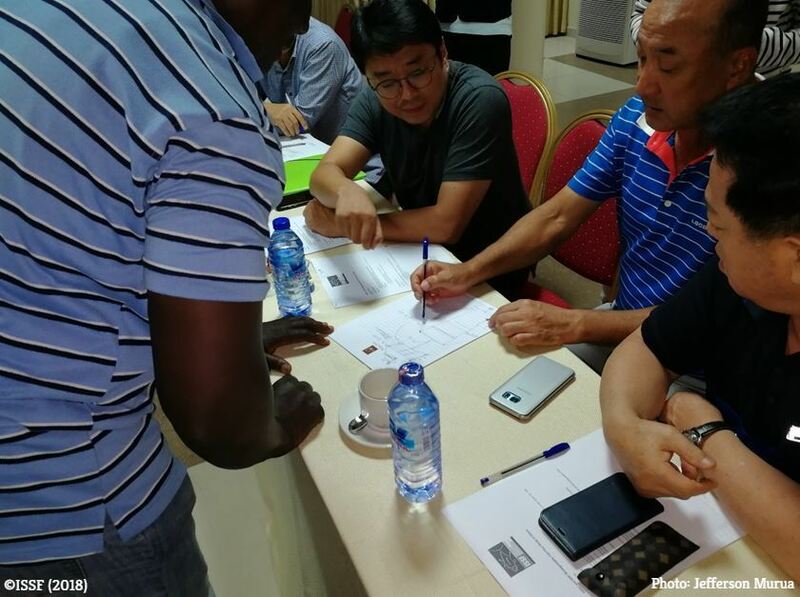 In this round we visited 15 locations spread across Africa, Europe, America and Asia. 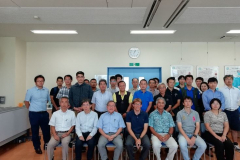 The workshops continue to expand to more tuna fleets, and this year we went for the first time to Dakar in Senegal and Yaizu in Japan. 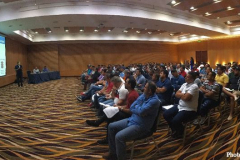 We also beat our record for most participants in a single workshop, with 135 attendants in the Manta, Ecuador, workshop. 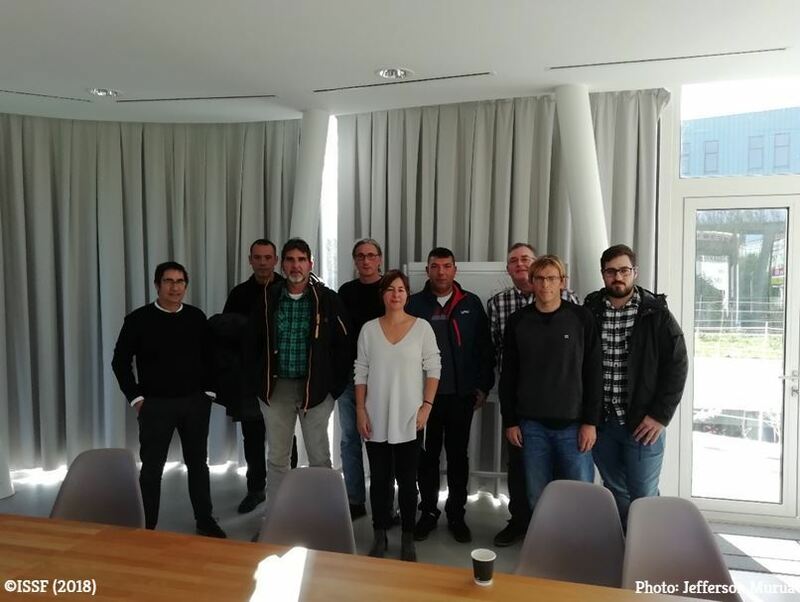 Other workshops targeted smaller groups, such as those in Bermeo, Spain, where scientists had meetings with fishers company by company, to allow for the flow of information in a more familiar setting. 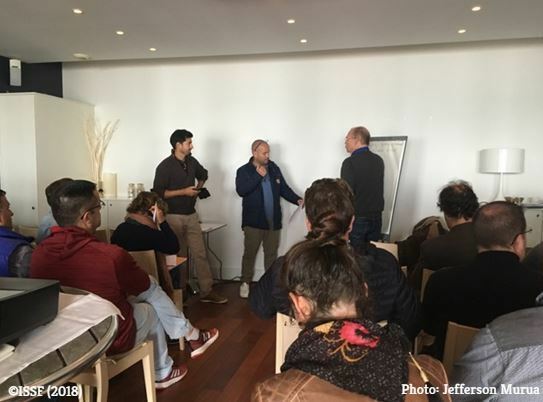 These workshops use a cooperative approach in which scientists pass on information to fishers about the latest results in bycatch mitigation practices and fishers provide feedback on novel ideas to reduce bycatch and developments in fishing practices with FADs. 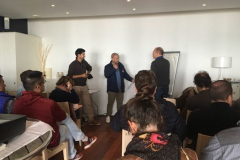 In this series of workshops, a principal objective was to advance towards the use of biodegradable non-entangling FADs (BNEFADs). Fishers agreed that minimizing FAD-derived marine pollution is an important issue and were proactive about testing biodegradable materials. 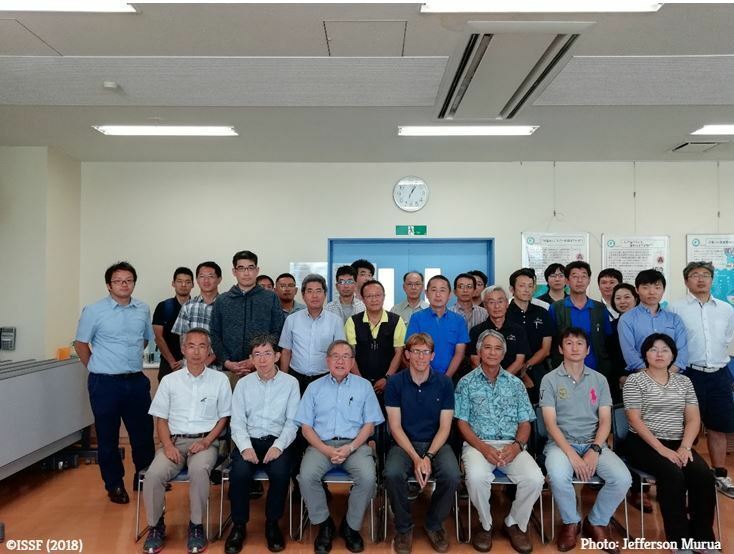 Large-scale trials for FADs built with natural biodegradable materials (e.g., cotton, bamboo) are underway in the Indian Ocean, and skippers from that region provided feedback about their experience with these experiments. Further large-scale BNEFAD trials are planned for the Atlantic and Eastern Pacific Oceans this year. Another theme discussed during workshops in 2018 was best practices to release bycatch from the fishing vessel deck. 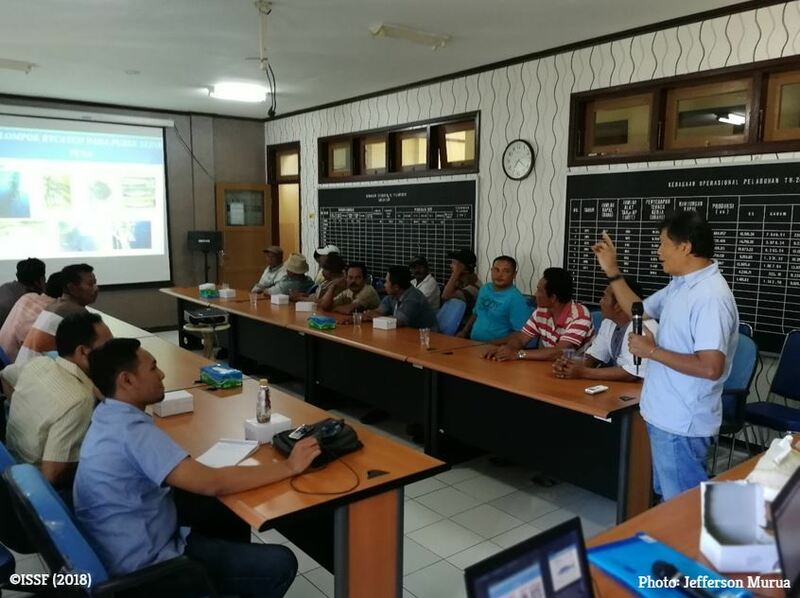 Fishers shared that there is a need to develop better release equipment to facilitate safe handling of large animals like sharks and manta rays. One such tool is the hopper, a large tray that is used by some vessels to sort out the catch more efficiently. Fishers using the hopper thought it was very useful and encouraged other boats to start utilizing them, too. 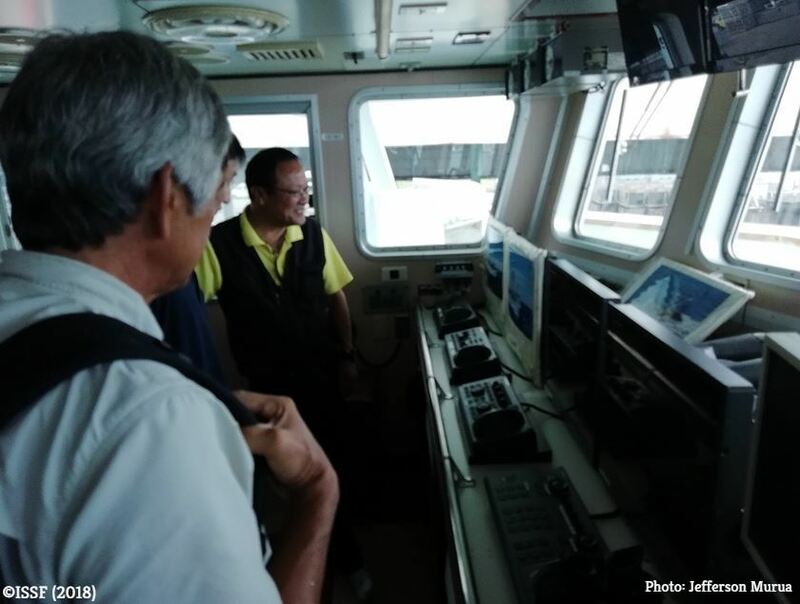 For small- and medium-scale purse seine vessels, these options are not viable, and other solutions need to be tailored for their kind of boats. 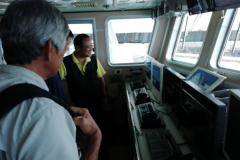 This is the case for example with the Indonesian fleet, where most vessels are under 100 GT. 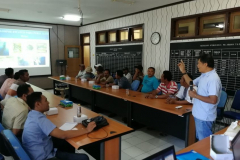 In 2018, the train-the-trainer program, through which trained Indonesian scientists conduct workshops in ports spread across the Indonesian archipelago, continued in operation with workshops in ports like Bitung, Prigi and Pekalongan. 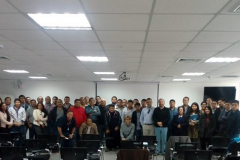 In 2019, we have just started a new round of workshops and plan to continue engaging with fishers from all over the world to improve the sustainability of tuna fisheries. Fishers must remain involved in developing bycatch solutions and best practices because they are the principal actors in the fishery. 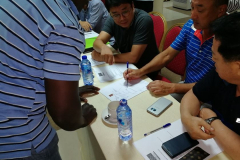 For more on the ISSF Skippers Workshops in 2018, read the technical report ISSF 2019-01: ISSF Skippers Workshops Round 8.